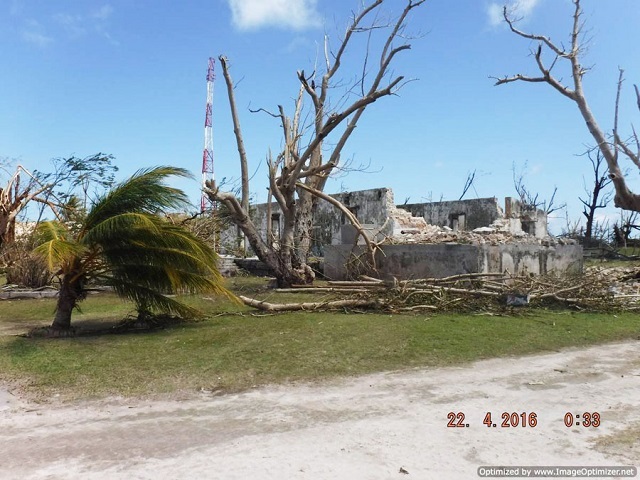 (Seychelles News Agency) - The massive storm that hit the outer Seychelles' island of Farquhar in April caused $4.5 million in damages and losses, a World Bank team said Tuesday following an assessment of the damages from Tropical Cyclone Fantala. 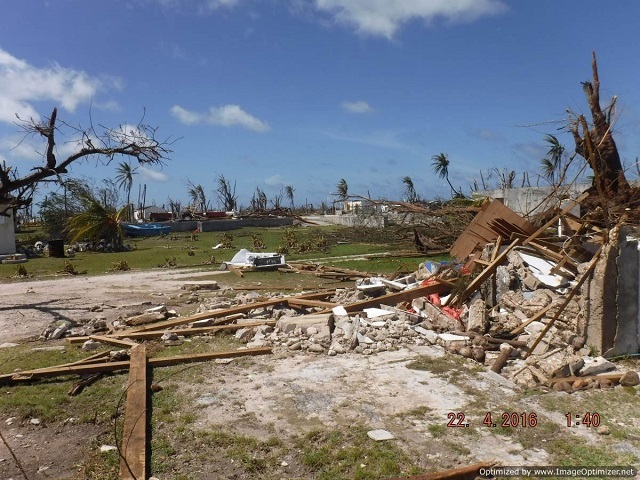 Doekle Geert Wielinga, a senior disaster risk management specialist who led the team of four experts on a one-week impact assessment mission on Farquhar, told a news conference that the impact of the disaster will be felt by the country over the next three years. 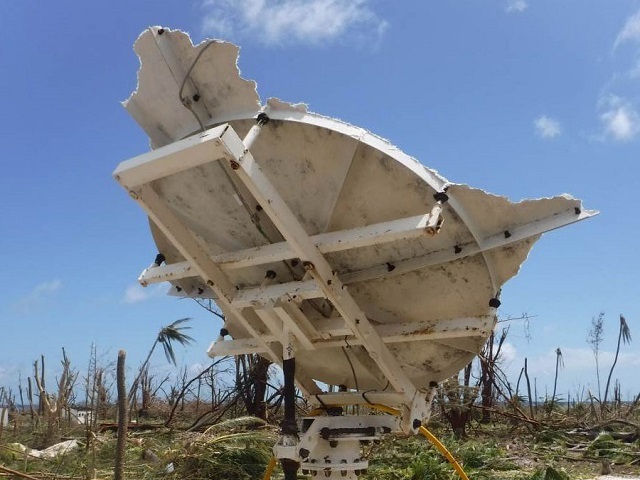 “The government of Seychelles will lose around $500,000 in revenue which it collects as value added tax and business tax from Farquhar during the island’s gradual recovery,” said Wielinga. 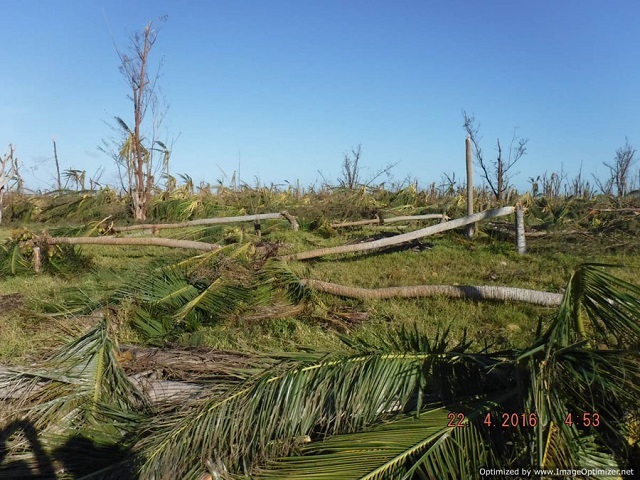 The preliminary findings show that the Indian Ocean island’s recovery need stands at around $8 million, he said. 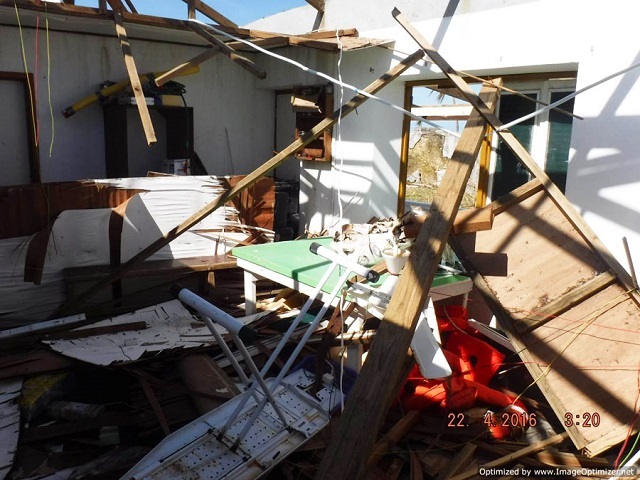 The $4.5 million in damages is equivalent to 0.3 percent of Seychelles’ gross domestic product. This includes the actual physical damages incurred as well as losses that will be incurred during the recovery period. 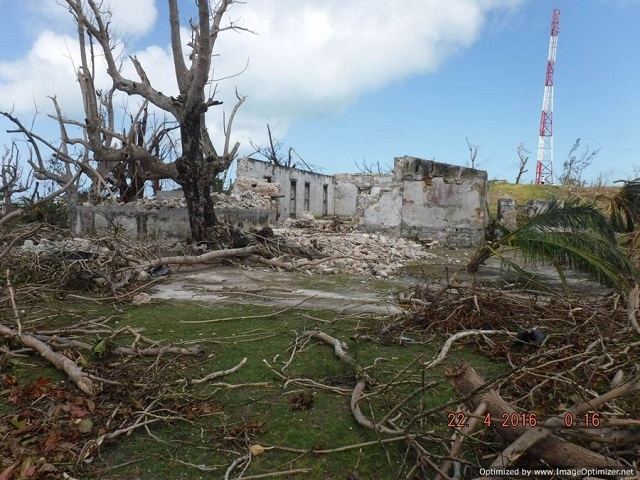 Farquhar was the hardest-hit of a group of southerly outer islands lashed hard by Fantala in mid-April, prompting the government to declare those islands as disaster areas. 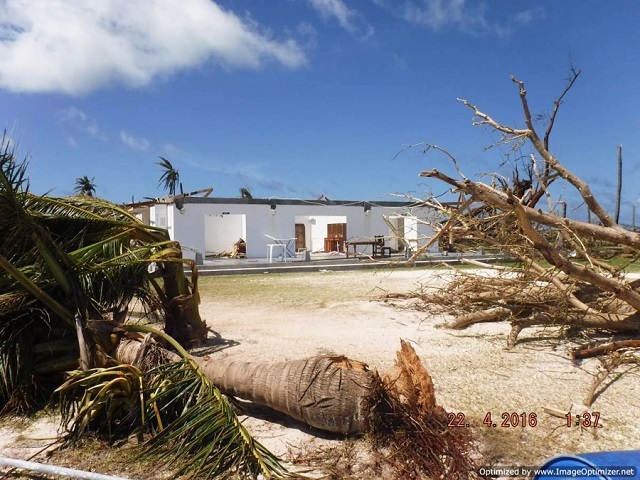 Farquhar was hit three times by the tropical cyclone – the strongest tropical cyclone to form in the southwest Indian Ocean in recent years. The World Bank mission has assessed its impact on four sectors. The social sector, which includes housing; the productive sector, namely agriculture, fisheries, industry tourism and commerce; the infrastructure such as electricity, transport, telecommunication, water and sanitation; and the cross cutting sector which include coast guard facility, disaster risk management and environment. 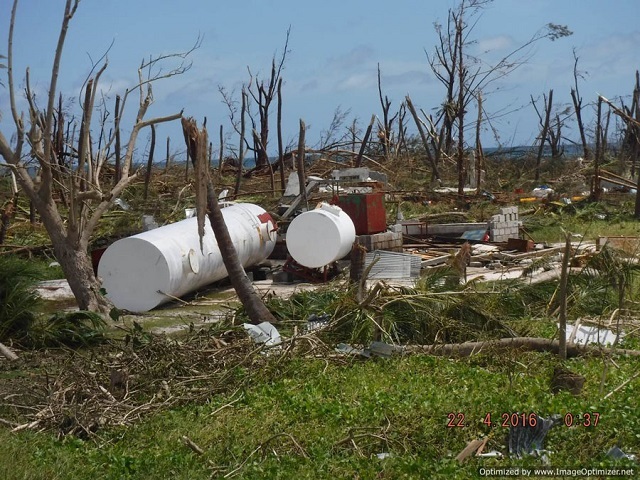 Wielinga said that discussions have now started with the Seychelles Ministry of Finance, Trade and Blue Economy to finalize exactly how much the World Bank will be contributing towards the recovery process. “Typically there will be different kind of funding sources coming to address those needs,” he said. Irene Croise, deputy comptroller general at the Ministry of Finance, Trade and Blue Ecomony, said the ministry is awaiting the final report, which will give final figures before making any comments. The final report is expected to be ready in three weeks. Meanwhile, the chief executive of the Island Development Company, IDC, said work is already underway to restore the devastated island. Glenny Savy noted that a small team of 15 construction workers are preparing the site for the arrival of a larger group of around 50 workers in a few weeks. Savy said IDC, a parastatal company which manages some of the outer islands of the Indian Ocean archipelago, will finance part of the restoration work using money received from its own insurance company as well as revenue generated through its economic activities. “What is important now is for us to rebuild our infrastructure including water and sanitation, electricity, shop and housing facilities and these will be financed by our own money,” he said. Economic activities on Farquhar are expected to resume in a year’s time, according to Savy. IDC operates guest house facilities on Farquhar, which lies more than 700 kilometers south of the Seychelles main island, Mahé. The island is also is famous for its fly-fishing activities. “As soon as our economic activities resume in a year, we will surely be getting revenue to invest in environment restoration of Farquhar. We will also seek sponsorship from environment organizations,” said Savy. 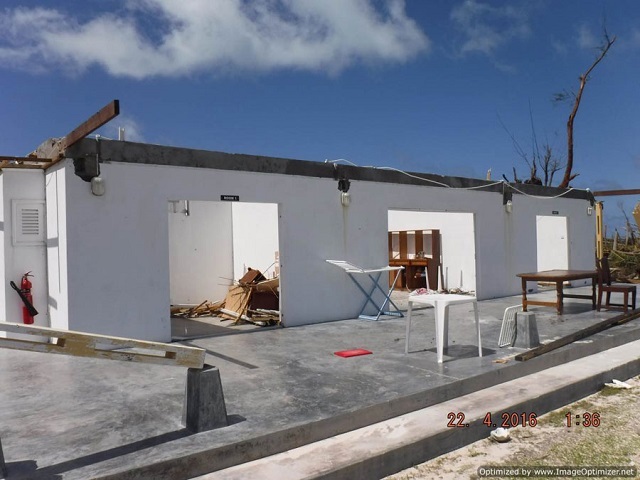 The World Bank has also outlined a medium to long term recovery strategy for the island including the rebuilding of the island’s infrastructure using cyclone resistant standards. 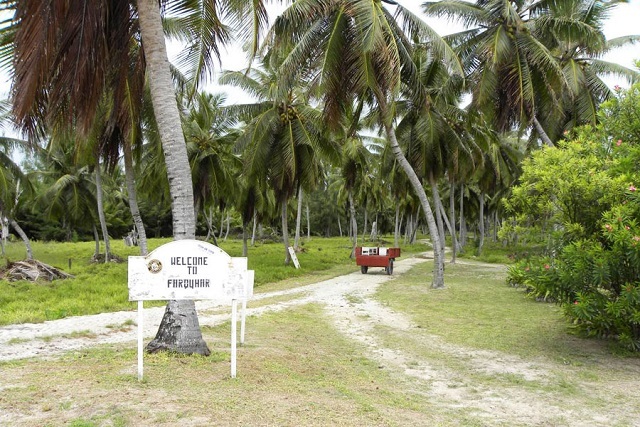 An in-depth environmental impact assessment of the Atoll and recovery plan is also included. At Tuesday’s presentation, Adrian Skerrett from the Island Conservation Society explained that the natural ecosystems, such as the native shrubs covering beach crests and sand dunes, and bordering swamps, were less damaged than highly-modified environments of coconut and casuarina forests, due to their high resistance to cyclonic wind and waves. 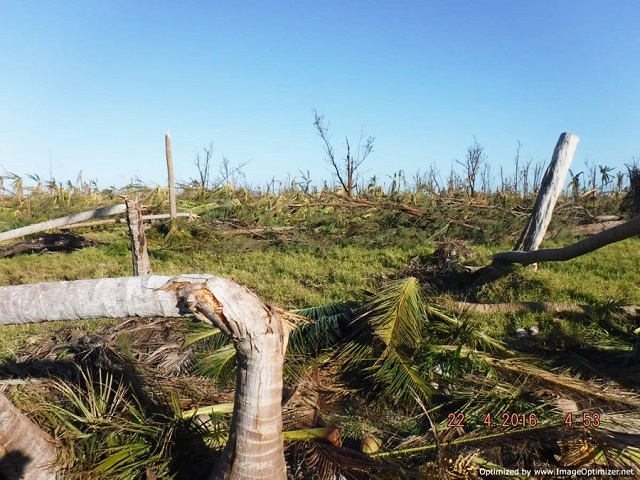 “The rather limited impacts of Fantala on natural environments indicate a high potential for short- to medium-term natural recovery and prove that Farquhar’s ecosystems are well-adapted to cyclonic events,” said Skerrett. Skerret also said that their assessment showed very limited erosion of the sandy beaches and dunes and seabirds, including sooty terns, and red footed boobies, were also found on breeding sites, on South Island one of the islets of Farquhar indicating that important bird regions have also survived the cyclone.